I LOVE coconut. So I was excited to find a good coconut oil that I enjoy. I have to admit, I really never had it before trying Tropical Traditions brand. Knowing that the coconut oil was good for me made it a bonus when cooking. Makes a great addition to a quick healthy breakfast. I did some searching online and I discovered some health benefits of using coconut oil. Such things like skin care, weight loss, heart disease, and even how you digest food. Here are some key benefits that will keep me using coconut oil. Coconut oil has both short and medium-chain fatty acids that help in weight loss. Since it is also easy to digest it helps a healthy thyroid and enzymes systems. It also increases your metabolism which we all know is crucial in any weight loss. 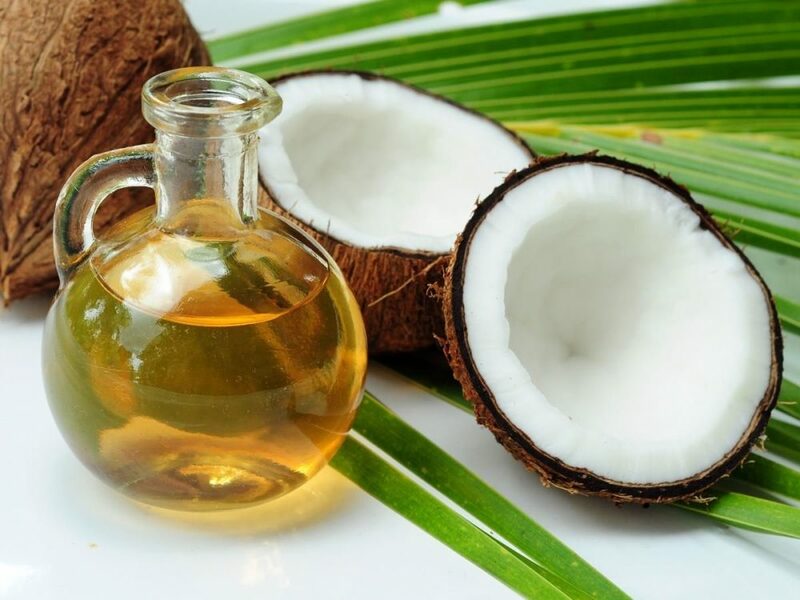 MCT oil vs Coconut oil is something you should check out. Both are excellent resources for weight loss. Dip those hands in and lather up! Coconut oil acts as a great moisturizer for all types of skin. It also known to help psoriasis, dermatitis, and eczema. I know in winter I have terrible dry itchy skin. Coconut oil can even helps your skin and has been said to have anti-aging effects. Hello ladies!! A great and inexpensive wrinkle cream. I like that it’s a healthy oil that tastes good. With all this wacky weather going out everyone’s immune system is up and down. So how can coconut oil help? It consists of antimicrobial lipids, lauric acid, capric acid and caprylic acid which have anti fungal, antibacterial and antiviral properties to help build up the immune system. If you are wanting more coconut oil recipes or want to know more about coconut oil, check out Tropical Traditions Virgin Coconut Oil book filled with 100 stories and 85 recipes. Don’t miss out! Your free if your a first time buyer. Wow very helpful! thank you. Coconut oil helps with weight loss as well. I have lost 5 lbs in 2 weeks just by having 3 spoons a day. Mari that is great. I might have to start adding it in daily. I love this! Coconut oil is SO good for you!! !